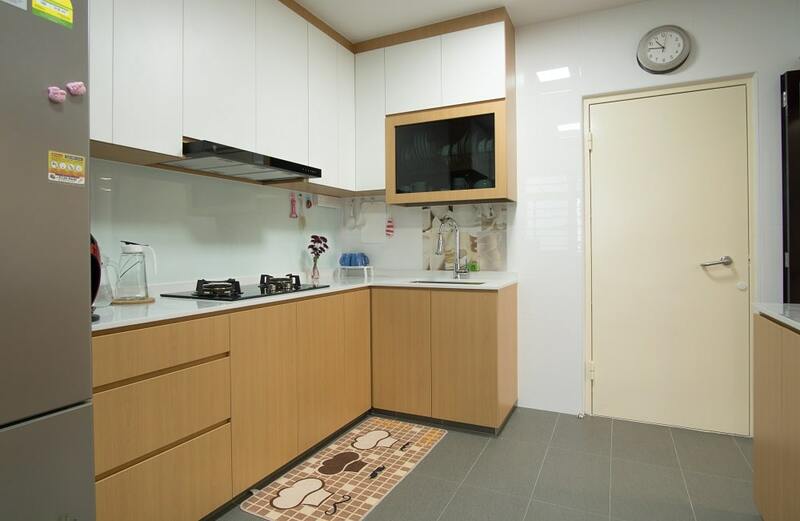 Since many Singaporean homes do not have the space for individual laundry units, the kitchen is now being used in dual capacity. If you’re looking for inspiration on how to do it right, take a look at this image. The clever use of space has led to optimised functionality. While the feature length cabinets hit the ceiling and provide extra storage, the corner has been allocated to the washing machine and trendy rods act as both a design element as well as a place for the homeowner to hang their dry clothes. If your home design aesthetic appreciates the neutral palette, then this particular kitchen would be a great inspiration for you. The expert blending of browns, whites, and greys helps create a calming atmosphere. 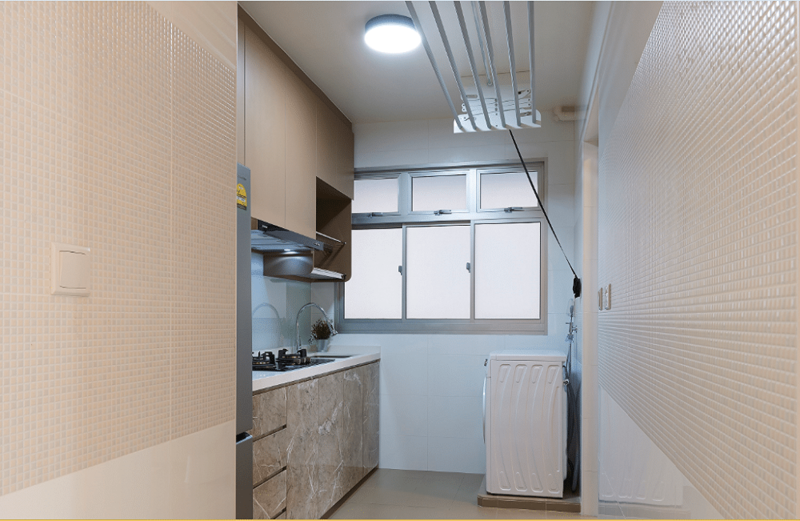 But if you want to have a bit of fun with this look, you can use the backsplash idea in this image that features multiple materials surfaces for a more dynamic visual quality. Smaller spaces can be really hard to work with, but if you go with compact in-built cabinets, you can certainly make the most of your space! In this image, the height and storage formation of the cabinets have been tweaked exponentially. 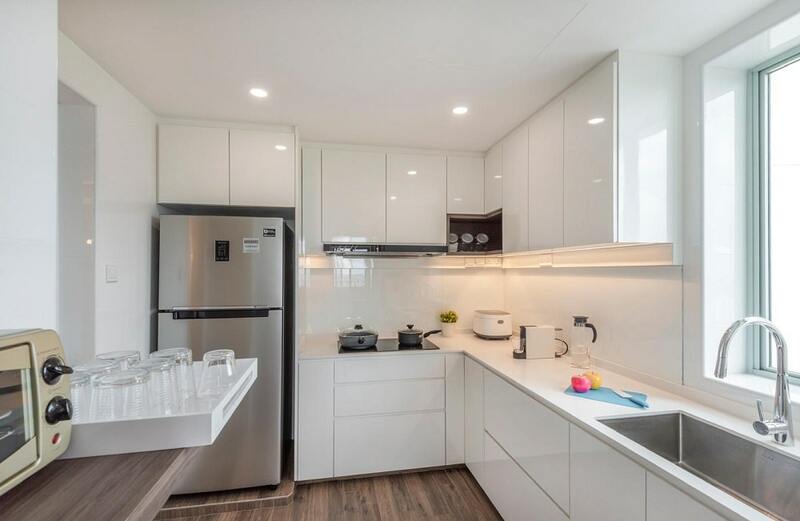 Moreover, the spaces made for the in-built appliances give the whole set-up a much more cohesive look, which is enhanced and beautified by the great material selection! 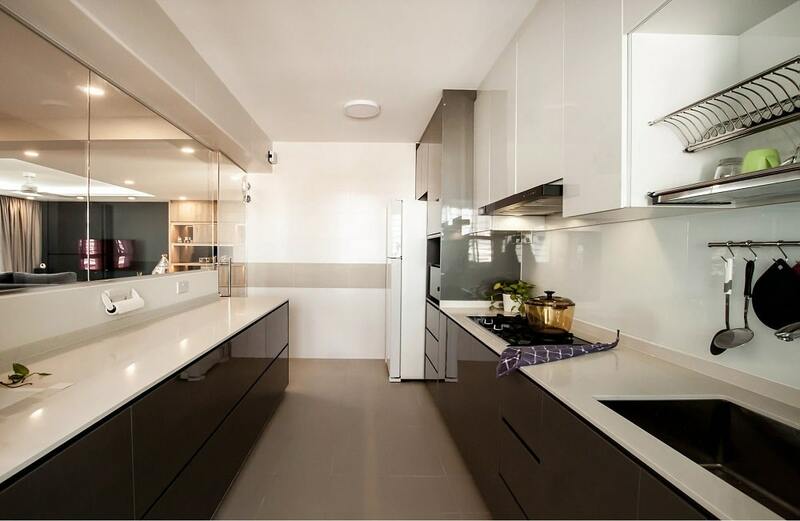 Transparent kitchens are a good alternative when you’re hesitant to go for a full-scale open-floor layout. This kitchen features a great way you can implement this idea. The feature-length glass installation above the counterspace allows an extensive view of the rest of the home, but doesn’t let any of the aromas or odor’s from the kitchen to spill outside. The sleek achromatic materials only contribute to the great aesthetic! If you want to emulate a classy and sophisticated look in your kitchens while making the illusion of more space, then choosing a white colour scheme is the best option. The kitchen in this image is a prime example of this technique. 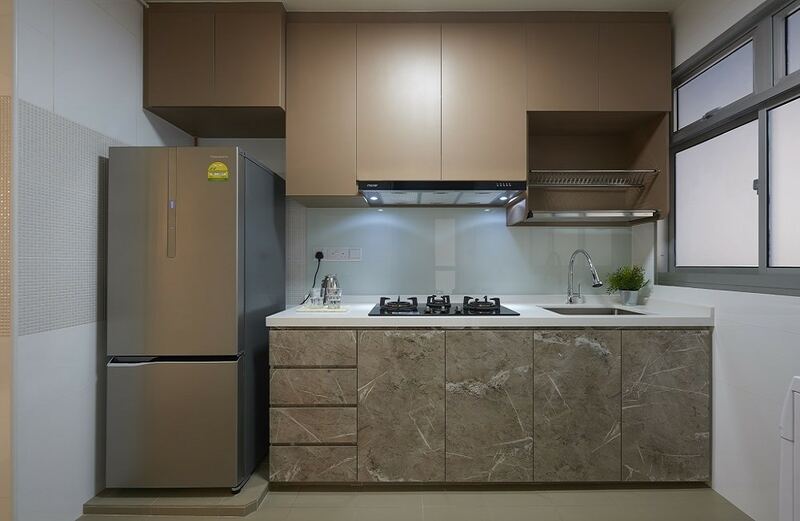 It even has a wood textured floor to counter balance the frigidity of the white colour scheme!